This session is for both yoga students and yoga teachers alike. 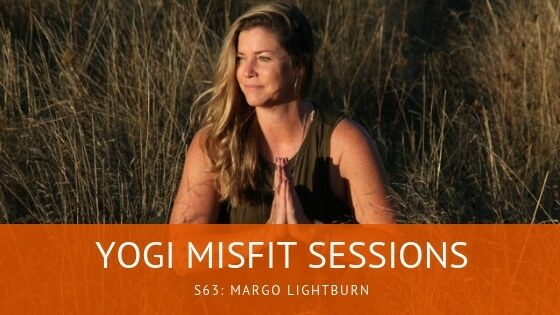 On session 63, I chat with Margo Lightburn, a teacher who’s been teaching and practicing for 16+ years. We talk about sustainability of a yoga teacher because yeah, it looks like all we do is walk around and say things to students, but there’s so much more to it than that. Intelligent sequencing, getting classes to be well-attended, ensuring that we maintain a solid income yet avoiding burnout…these are all different plates that we as teachers spin at any one time. How can all of this be sustainable for any one teacher? On top of that, especially in areas where yoga offerings and yoga teachers are abundant, how can someone stand out as unique instead of being hyper-competitive against each other? We get honest and real, so get ready. Also, we apologize about the audio quality of the interview. We decided to release the episode as we just loved the rawness of the conversation. Thank you for bearing with us.